Mayor Dana Williams delivered a de facto State of the City address on Wednesday, touching on a variety of topics and offering a rundown of what business City Hall might handle this year. Williams spoke to the Leadership 101 seminar at The Yarrow. He was part of a lineup of speakers from government entities and the not-for-profit sector at the annual seminar. Williams, who is in his third term and has not announced whether he will seek re-election later this year, offered prepared remarks and took questions from the audience. He covered issues ranging from inroads Park City has made in relationships in China to development matters. Much of what he spoke about has been discussed in City Hall circles, but he did provide some information that had not been widely publicized prior to the remarks. 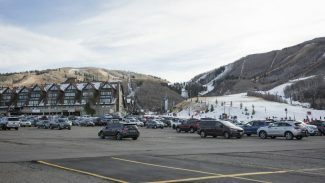 Williams spoke briefly about a Deer Valley Resort idea to build a gondola connecting the resort to Main Street. The comments were not expected since there has been little public discussion about the topic. Williams did not discuss the gondola in depth. The mayor said a Deer Valley-to-Main Street gondola is "still in the philosophical stage." 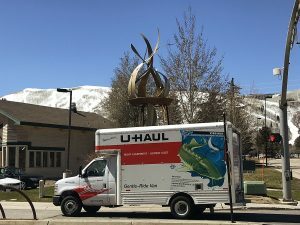 He said the Park City Council sees a gondola as something to consider, but issues like parking need to be addressed. He also said a route might cross through land that has been protected as open space, something that could complicate matters. Williams mentioned several development-related issues that continue to busy City Hall staffers. But he said development discussions have not been as heated in recent years as they had been in the past. "It’s not as contentious as it used to be," Williams, who came to political prominence as a development watchdog in the 1990s, said. He spoke about the possibilities of the redevelopment of the Bonanza Park district, centered along Bonanza Drive and Kearns Boulevard. Park City desires an "entrepreneurial spirit," Williams said, speaking broadly about the city. He said people who grew up in Park City are returning after living away, but they are having difficulty finding professional jobs. 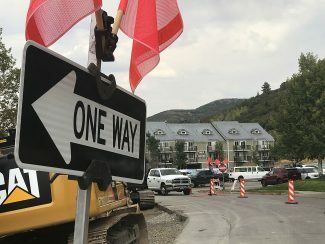 Williams also offered an update on the long-running negotiations about the Treasure development proposal on the slopes of Park City Mountain Resort overlooking Old Town. He called Treasure "one of the most controversial projects," but he did not provide new insights into the talks. There are discussions about allowing half of the Treasure development rights to be built at the site itself and then shifting the rest of the rights elsewhere. Park City-China relations that have been built. Williams, who has traveled to China twice as mayor, said a program will bring Chinese university students to Park City for eight months at a time to learn about the travel industry. He said he spoke with travel agencies when he was most recently in China, last spring. the growth of Quinn’s Junction, with the mayor saying he is pleased with the way the area off the U.S. 40-S.R. 248 interchange was developed. He said large retailers had eyed Quinn’s Junction at one point. Athletic facilities, a hospital and not-for-profit headquarters have instead been put up there. "I think we dodged a major bullet," Williams said. waterworks projects that the mayor said are important. He mentioned a water-treatment plant as well as a pipeline that will be built along the S.R. 248 corridor. He said City Hall staffers consider environmentally friendly technologies when considering waterworks projects, such as power-generating turbines as part of pipelines. the environmental legacy of Park City’s mining heritage. He said another repository where contaminated soils are stored could be needed in the area. Williams also mentioned a cleanup needed at the site of the planned Park City Heights project. That could drive up the cost of work force housing within the development, Williams said.